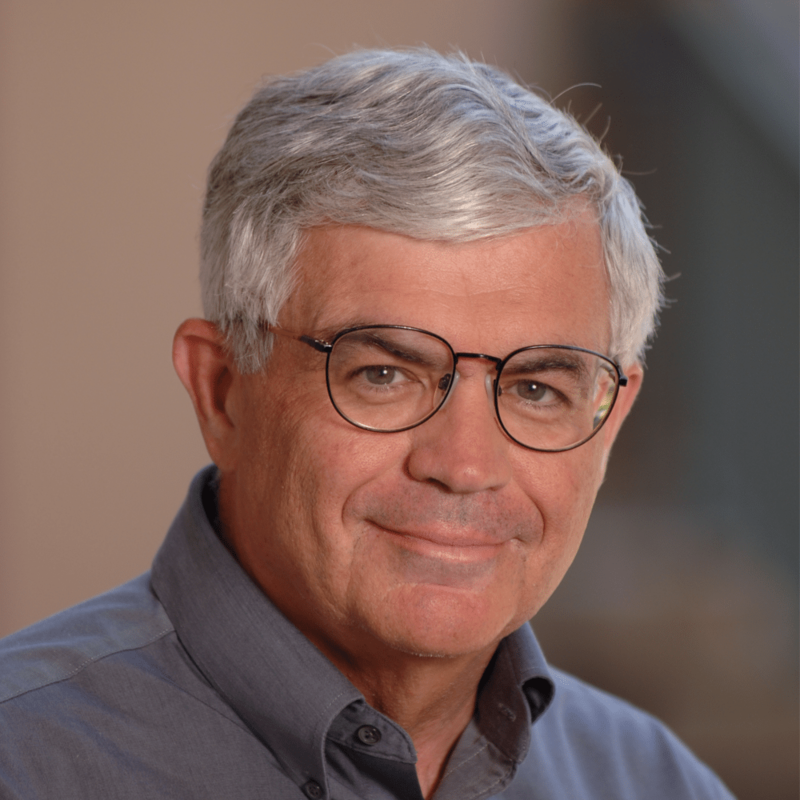 Professor Pedro Schwartz discusses democracy. 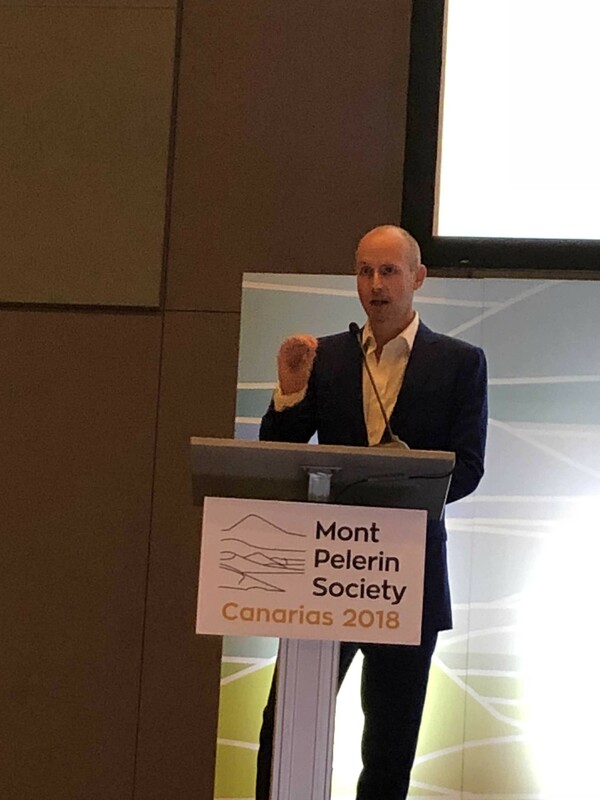 Two Icelanders attended the 2018 general meeting of the Mont Pelerin Society on Gran Canarias 30 September to 5 October, Professor Hannes H. Gissurarson, RNH Academic Director, and investor Gisli Hauksson, Chairman of the RNH Board. Founded in Switzerland in 1947, when individual liberty seemed everywhere to be under threat, The Mont Pelerin Society has the sole aim of enabling men of letters from all over the world to meet and discuss the defence and development of liberal ideas. The founders included Friedrich A. von Hayek, Milton Friedman, George Stigler and Maurice Allais, who were all to receive the Nobel Prize in Economics, and philosophers Karl R. Popper and Bertrand de Jouvenel. Many of the speakers at the 2018 meeting have visited Iceland and spoken at RNH events, such as Philip Booth, Eamonn Butler, Nils Karlson and Matt Ridley. The main organiser of this successful and stimulating meeting was Professor Gabriel Calzada Álvarez of Universidad Fransisco Marroquin in Guatemala. John Taylor, MPS President 2018–20. Many topics were on the ambitious programme, including evolutionary theory in economics, economic development, the international financial order after the 2007–9 financial crisis, competition between jurisdictions, the culture of a free society, the future of cities, entrepreneurship, business cycles, the internet and its enemies, the relationship between Hayek and his compatriot and teacher Ludwig von Mises, political authority, private provision of public goods, separatist movements and independence, and the relationship between the Scholastics and the Scottish Enlightenment. The amusing anecdote was recalled when Mises stood up and left in the midst of a session at the 1947 original meeting, exclaiming as he slammed the door behind him: “You are all a bunch of socialists!” The occasion was that another participant, Frank H. Knight, had expressed his support for a 100 per cent estate tax. 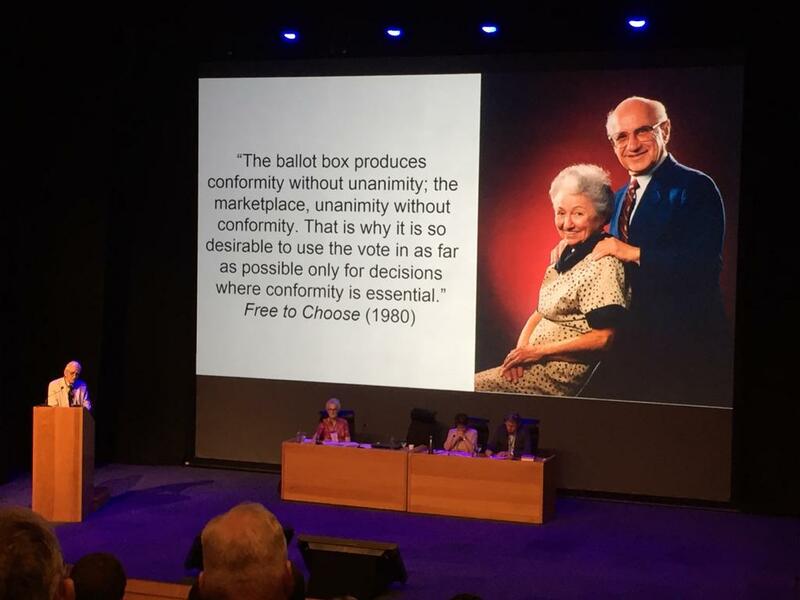 At the Gran Canarias meeting, one night Matt Ridley and entrepreneur Peter Thiel engaged in a ‘fireside chat’ on the state of affairs in the world and the future. While the MPS is not a secret society, participants at its meetings are not expected publicly to quote speakers so that discussions can be frank and open. Professor Gissurarson was a Member of the MPS Board in 1998–2004 and organised a regional meeting in Reykjavik in 2005. He made two contributions at the meeting. First, at a luncheon meeting of Atlas Network on liberalism in Latin America, he pointed out that it was a common belief in Latin America that the countries there had to imitate the allegedly successful ‘Swedish Model’ of high taxes, a large public sector and generous welfare benefits. This belief was erroneous. The Nordic countries were successful despite, and not because of social democracy. The explanations for their success were a strong tradition of the rule of law, an emphasis on free trade and a high level of trust and social cohesion brought about by homogeneity and a long shared history. In this context, Gissurarson referred to a 2016 report he did for the think tank New Direction in Brussels on the Nordic Models. Daniel Hannan speaking on national identity. Professor Gissurarson also spoke in the session on separatist movements and independence. Agreeing with two of the speakers in the session, Jesus Huarta de Soto from Spain and Daniel Hannan from the United Kingdom, that there was such a thing as liberal nationalism, Gissurarson pointed out that this idea had indeed enjoyed broad support in the 19th and early 20th centuries, for example in the Nordic countries. But nationalism had to be spontaneously developed, as Ernest Renan had put it when he said that a nation was created and maintained in a daily plebiscite. In order to love one’s country, she had to be lovely. The separation of Norway and Sweden in 1905, of Iceland and Denmark in 1918 and the Baltic states and Russia after the collapse of the Soviet Union (and earlier after the collapse of the Russian Empire) were all desirable steps from a liberal point of view. Gissurarson speculated if the political arrangements in the Aland Islands and in South Tyrol could serve as a model for a compromise in the conflict between Scots and Englishmen and Catalonians and Spaniards. Originally, the Alanders had preferred to belong to Sweden rather than Finland and the South Tyrolese to Austria rather than Italy, but now both peoples had fully accepted their present status, because they had full control over their own affairs. 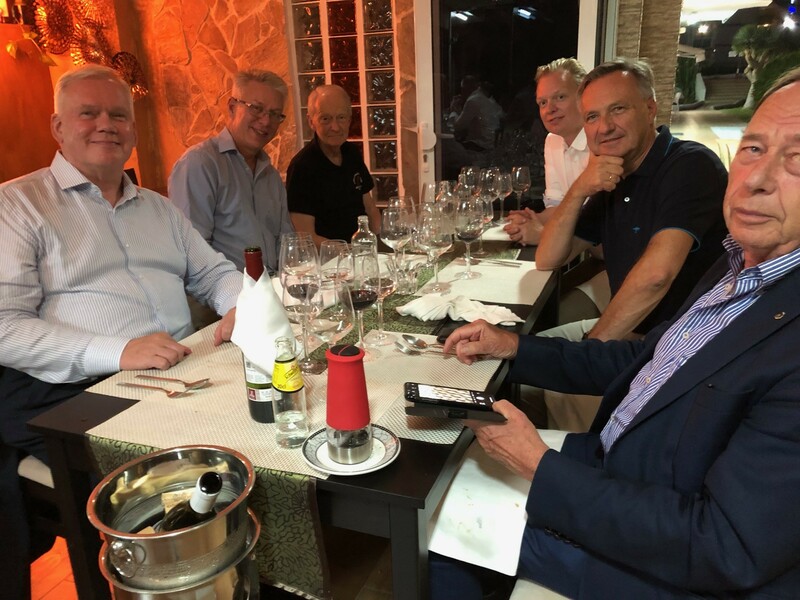 At gourmet restaurant A. Gaudi 2 October 2018, discussing Nordic liberalism. From left: Prof. Hannes H. Gissurarson, Dr. Nils Karlson, Dr. Carl-Johan Westholm, Gisli Hauksson, Lars-Peder Nordbakken and Håkan Gergils.